Vast management experience within the green energy market. The board of OPS India directors have extensive business management in the renewable energy sector. With their combined years of experience in development of technologies, management and corporate success, the directors of OPS India are highly committed to deliver OPS India's business mission. 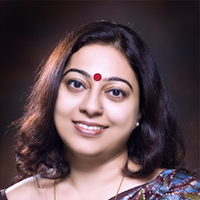 Dr. Purakayastha completed her Bachelor in Electrical Engineering with a Masters in Electronics & Communication Engineering from Jadavpur University, Kolkata, India in 1989 and 1991 respectively. Dr. Purakayastha was awarded a PhD from Jadavpur University in 1995 for her research of thin film photovoltaic technology. Professionally involved as a technical editor at the Institution of Engineers India since 1995, Dr. Purakayastha later joined the School of Energy Studies, Jadavpur University. In 2003, she received the Women Scientist Award from the Department of Science and Technology, Government of India. Dr. Purakayastha has been involved in several Government agency projects in the renewable energy field. Dr. Purakayastha is a professional member of the Electrical and Electronics Engineers Inc. (IEEE) USA, the Institution of Engineers (India), Life member of Solar Energy Society of India and a Life member of the Indian Association for Cultivation of Science, India. Stephen Phillips completed his Bachelor of Science at Murdoch University, Perth, Australia, with a Master of Electrical Engineering from Curtin University, Perth, Australia. His research at Sandia National Laboratories, Albuquerque, USA awarded him with a Churchill Fellowship in 1987 for Solar Energy Research and since this date he has had over 50 papers published in the field of renewable systems technology. 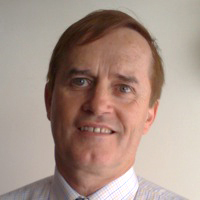 After holding the position of Principal Investigator from 1986-1989 at Australia’s Murdoch University Energy Research Institute, Mr. Phillips became Managing Director at Advanced Energy Systems Pty. Ltd. Australia. Since 2004, Mr Phillips has been a Director of Optimal Power Solutions. Ashok Prakash is Chief Technology Officer of OPS India and holds a Masters of Technology (Electrical Machines and Industrial Drives) from the Warangal Kakatiya University completed 1987. 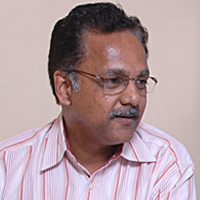 He also holds a Bachelor of Electrical Engineering from Visvesvaraya College of Engineering, Bangalore University completed in 1985. Mr. Prakash has lectured at the Department of Electrical Engineering, Bangalore Institute of Technology conducting course in Electronic Circuits, Network Analysis and Synthesis as well as Power Electronics for graduating students. In 2002, he was awarded the prestigious Indira Gandhi National Award for propagating use of solar photovoltaic renewable energy in rural areas. Mr. Prakash has worked with the international OPS group since 2004 and is a vital member of the company. In 2010 he was awarded a PmP, achieving accredited status for Certification in Project Management.